« Want to Avoid Surprises with your Tax Liability with the IRS? Many taxpayers often get frustrated and take it personally when they receive a penalty from the IRS on top of their taxes due. Tax penalties can substantially increase a balance that is owed to the IRS, and coupled with the interest on top of those penalties; they turn a relatively small balance into a much larger one! Furthermore, the IRS takes a hard and fast approach when assessing tax penalties and will often assess the penalties without regard to the underlying circumstances. As the IRS’s policy is clear and deliberate on their reason for penalizing you, which is to deter you, the taxpayer, from failing to timely file and pay your taxes! So admit it. You filed and paid your taxes late…. or not at all! You are not alone! In 2012, the IRS assessed 37.9 million penalties against taxpayers totaling $26.8 billion. Those included individual, business, and payroll penalties for failure to file, failure to pay, and failure to deposit penalties, which totaled 74% of all the penalties assessed in 2012. The IRS assesses most of these penalties automatically, regardless of the taxpayer’s situation. Before the IRS assesses a penalty, the taxpayer can file a penalty non-assertion request with a paper return to request that the IRS not automatically assess a penalty. After the IRS has assessed a penalty, the taxpayer can request penalty abatement, typically by writing a penalty abatement letter or by calling the IRS. Skilled tax professionals can also request IRS penalty abatement using their experience and expertise in this area. After the taxpayer has paid the penalty, the taxpayer can request a refund using Form 843, Claim for Refund and Request for Abatement. The taxpayer must file the claim within three years of the return due date or filing date, or within two years of the date the penalty was paid. Keep in mind, whichever method the penalty is addressed (as discussed above) you will also need a valid reason under which to request the IRS penalty abatement. Get out of jail free cards from these penalties fall into four separate categories: reasonable cause, statutory exceptions, administrative waivers, and correction of IRS error. The two most successful remedies available to you are discussed below. Keep in mind these are the reasons in which the IRS may grant you IRS penalty abatement. IRS penalty abatement can be difficult to get accepted, as the IRS does not simply like to discharge them without some justifiable cause. However, there are a number of reasonable cause factors that have been codified by the Internal Revenue Manual that taxpayer’s can use as a basis for challenging their tax penalty. As defined by the IRS, IRS penalty abatement is generally granted when the taxpayer exercises ordinary care and prudence, but nevertheless fails to comply with their obligations. I have listed the reasonable cause exceptions to tax penalties below. Keep in mind that this is not a complete list of the circumstances that a taxpayer can use to request IRS penalty abatement. However, as they are listed in the Internal Revenue Manual, these are the circumstances that I have found in my experience that the IRS is most likely to accept. Any reason or rational outside of these factors will be much more difficult for the IRS to justify reasonable cause. Ordinary Business Care and Prudence – Ordinary business care and prudence can be demonstrated by showing that the taxpayer made every effort to comply with their tax obligations, but nevertheless for circumstances beyond their control, they were unable to do so. Death, Serious Illness, or Unavoidable Absence – Any death, serious illness, or otherwise serious medical condition is probably one of the simplest methods to justify IRS penalty abatement. This applies both to individual taxpayers (or their family members) and corporate taxpayers when the person solely responsible for a company’s tax compliance obligations is absent. Fire, Casualty, Natural Disaster, or Other Disturbance – The IRS generally accept any tardiness in filing or paying taxes due to a fire, flood, tornado, or other casualty. Particularly in areas where there is a state declared or federally declared disaster area, the IRS will usually grant IRS penalty abatement without question. Unable to Obtain Records – Explanations relating to the inability to obtain the necessary records may constitute reasonable cause in some instances, but may not in others. Mistake Was Made – You may try to establish reasonable cause by claiming that a mistake was made. Generally, this is not in keeping with the ordinary business care and prudence standard and often does not provide a basis for reasonable cause. Thus, we do not recommend this excuse! Erroneous Advice or Reliance – Receiving bad advice may be a valid relief for obtaining penalty relief. Receiving bad advice, whether from the IRS or from a tax practitioner or professional, is one of the most compelling reasons for IRS penalty abatement to be granted. When you can evidence that you relied on a professional or the IRS, receiving IRS penalty abatement under this reason is often granted. However, please note the IRS will look for you to substantiate your defense from time to time. 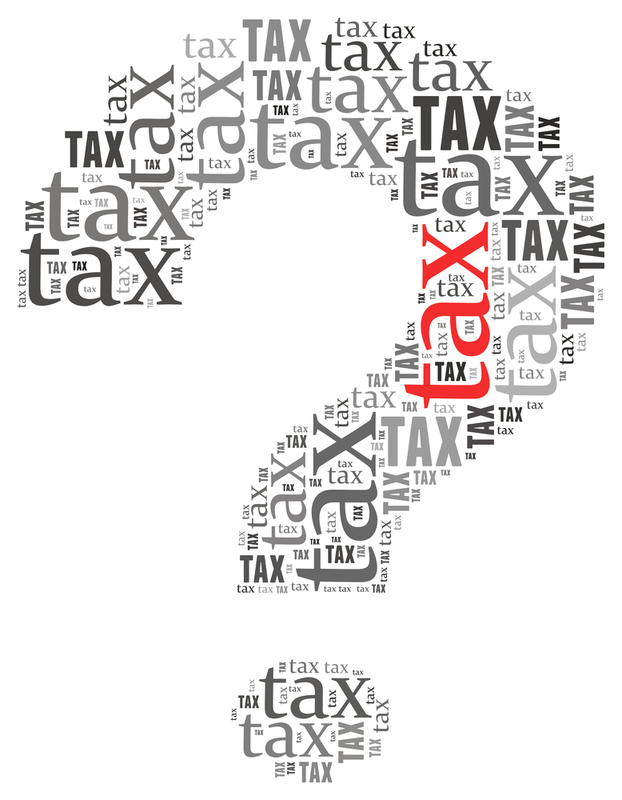 Ignorance of the Law – In some instances taxpayers may not be aware of specific obligations to file and/or pay taxes. The ordinary business care and prudence standard requires that taxpayers make reasonable efforts to determine their tax obligations. Although this factor is more difficult to use as a reasonable cause argument, ignorance of the law is still a factor that the IRS may consider when determining whether or not to grant IRS penalty abatement. Some taxpayers, because of their education or past background, may not be aware of the requirement to file and pay certain types of tax obligations. As long as the taxpayer makes a reasonable effort to be compliant, then they can present an argument for IRS penalty abatement as a result of ignorance of the law. It is important to note that reasonable cause relief is not always available for all penalties. IRS penalty abatement is typically granted when findings reveal that the taxpayer exercised ordinary business care and prudence even though unable to comply within a prescribed time frame. However, once the facts and circumstances reveal that the taxpayer willfully neglected to comply with his or her tax obligations, reasonable cause ceases to exist. The IRS will also look for you to substantiate and evidence your defense from time to time, so whatever reason you use, please make sure you can prove it. Stay afloat when navigating thru the IRS penalties battlefield with our solutions! If you do not have reasonable cause for IRS Penalty Relief, you may qualify for a First-Time IRS Penalty Abatement, called a First-Time Abatement (FTA) waiver. As the most widely available administrative waiver, the First-Time Abatement (FTA) waiver is rarely used. So what is it and how do you request it? In 2001, the IRS established the FTA to help administer the abatement of penalties consistently and fairly, reward past tax compliance, and promote future tax compliance. This administrative penalty waiver allows a first-time noncompliant taxpayer to request IRS penalty abatement for certain penalties for a single tax period; one tax year for individual and business income taxes and one quarter for payroll taxes. The high majority of taxpayers who qualified for an FTA do not receive the waiver, likely because taxpayers did not know they could request it. The IRS does not publicize FTA as a relief option on its penalty-related notices or on its website. Thru this FTA waiver, individual and business taxpayers may request IRS penalty abatement or removal of certain penalties that the IRS has assessed against them for the first time. In effect, the IRS rewards typically compliant taxpayers with one-time penalty amnesty, which can save the taxpayer hundreds, sometimes thousands, of dollars. Despite the advantages of this IRS waiver, few taxpayers who qualify for FTA request it, as most taxpayers and tax professionals do not know FTA exists, and IRS representatives often incorrectly disallow an FTA when using the IRS’s faulty automated decision tool to make penalty determinations. In effect, FTA is hidden to most taxpayers and tax practitioners, who may not be aware of how it works, how to request it, or even its existence. That’s why it is important to retain an experienced tax professional knowledgeable in all aspects of penalty relief. Whether you want to do it yourself, or hire an experienced professional, we hope this article helps you in your journey for tax penalty relief! Get out from under the tax and penalty burden!